Gatsby Gala participants at last year's event kick up their heels on the dance floor. 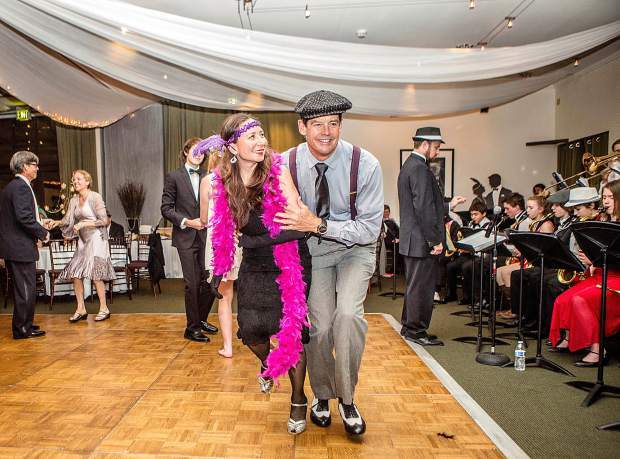 Truckee Excellence In Music Parent Organization (TEMPO) recently announced its second annual Gatsby Gala, taking place Friday, April 7, at 7 p.m. at the Resort at Squaw Creek in Olympic Valley. Community members are invited to attend this delightful event that will feature the award-winning Truckee High School Jazz Band entertaining the crowd with lively dance music. THS Band students are currently working diligently to perfect their musical repertoire, gather their own costumes and create 1920’s style “commercials” that will air on TTCTV prior this year’s event. The Gatsby Gala will have spectacular live music, dancing, food, an auction, photos and a raffle. Funds raised will support the THS Music Program with items such as musical instrument purchasing, band uniforms, music scholarships, band tour expenses and entrance fees for symphonic and jazz festivals. Gatsby Gala attendees are encouraged to wear roaring ‘20s attire for this glitzy evening. 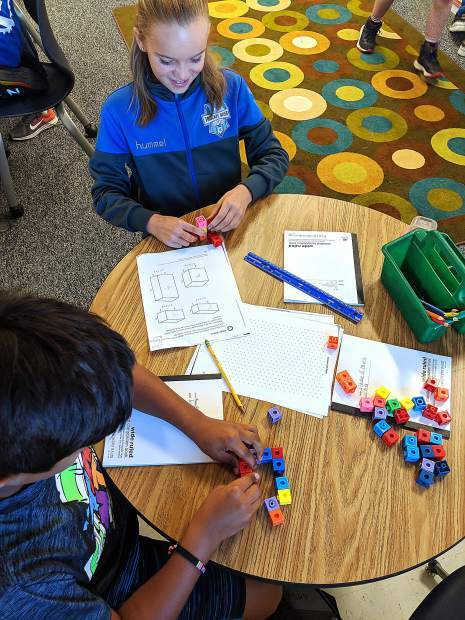 TEMPO is a nonprofit group of volunteers dedicated to raising funds to support the growth and continued success of the Truckee High School Music Program. TEMPO invites our community to partner with them in their mission of supporting and encouraging the very dedicated and talented students in Truckee High’s Symphonic Band, Marching Band, Jazz Band, Jazz Festival Band and Jazz Combo all under the direction of Mr. Jesse Steele. For information, or to purchase tickets online, visit http://www.thsbands.com and click on “Gatsby Gala.” Tickets will also be available for sale at The Pour House at 10075 Jibboom Street in Truckee.